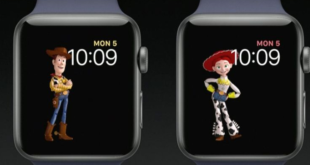 Woody, Jessie and Buzz join Mickey Mouse and Minnie Mouse in raft of Disney character branded watch faces. 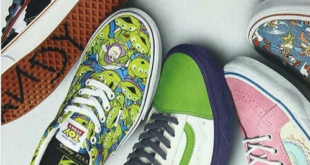 Buzz Lightyear, Woody and the rest of the Toy Story gang will feature in a new collection of trainers, each emblazoned with Andy’s name across the soles. Star Wars plans involve creating Disney’s largest single-themed land expansions ever at 14-acres each. Is this Toy Story’s 20th anniversary logo? 23rd March 2015	Entertainment Comments Off on Is this Toy Story’s 20th anniversary logo? The online rumour mill believes Walt Disney Japan has revealed the first glimpse at the commemorative logo. UK toy sales have already exceeded £31m as the Frozen franchise becomes the number one license in the UK toy market. The themed hotel will feature in the new Disney resort planned to open in Shanghai in 2015. John Lasseter will return to direct the fourth instalment of the adventure featuring Woody and Buzz Lightyear. The TV special sees the gang faced with Reptillus Maximus, the leader of a group of dinosaur toys who all believe they are real dinosaurs. The new collection features characters from Toy Story, Monsters University, Cars and more.